In our June edition of our Preemie Family newsletter we learned about Caleb Romero, who was born at 30 weeks, weighed in at 2 lbs 14 oz and was in the NICU for 144 days before going home. Read more in an update by his mother, Michelle, below. 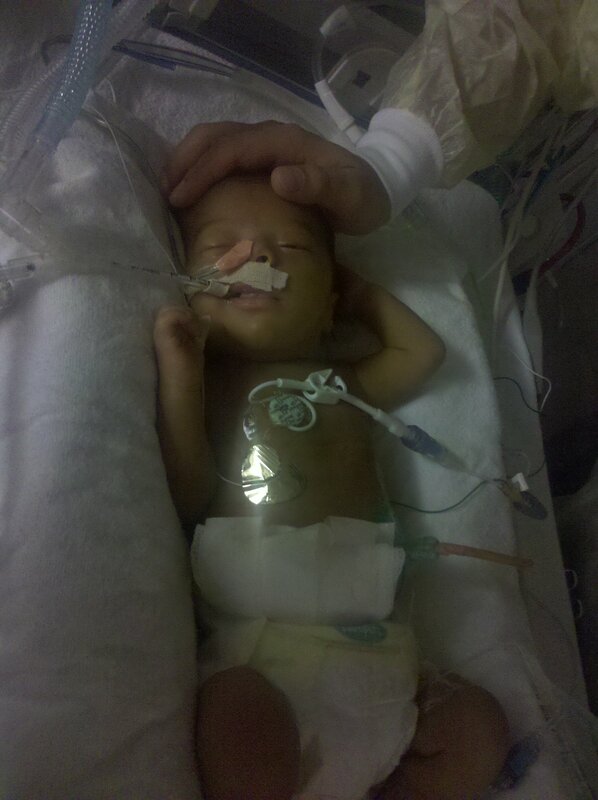 Our experience with prematurity began in August 2010. 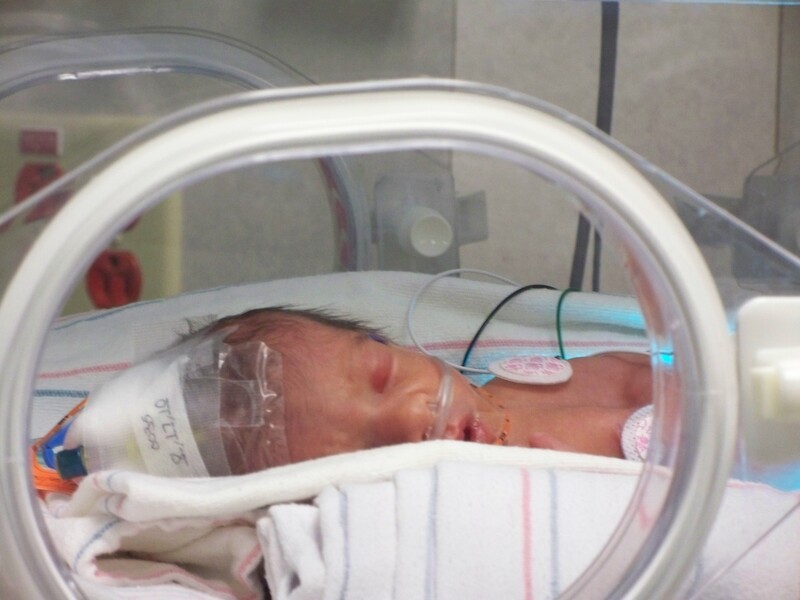 Up until the day our son came into our lives, I thought the NICU was something you only saw on television, I had never stepped inside the preemie world. Caleb was born 10 weeks early and as a result, faced many complications, two of which were very serious. He developed necrotizing enterolicotis and as a result of that, lost half of his intestine. His battle in the NICU was primarily overcoming the hurdles presented from absorbing proper nutrition with such little bowel and battling infections. Caleb was discharged after 6 months on IV nutrition, a g-tube and feeding pump, and around the clock care. Shortly after discharge, he was diagnosed with Pulmonary Vein Stenosis, a progressive and severe cardiopulmonary disease. We traveled from North Carolina to Children’s Hospital Boston for open heart surgery and enrolled in a clinical trial to improve Caleb’s odds of survival. Fast forward to 2015, I am happy to say Caleb is a happy and energetic 4 year old! 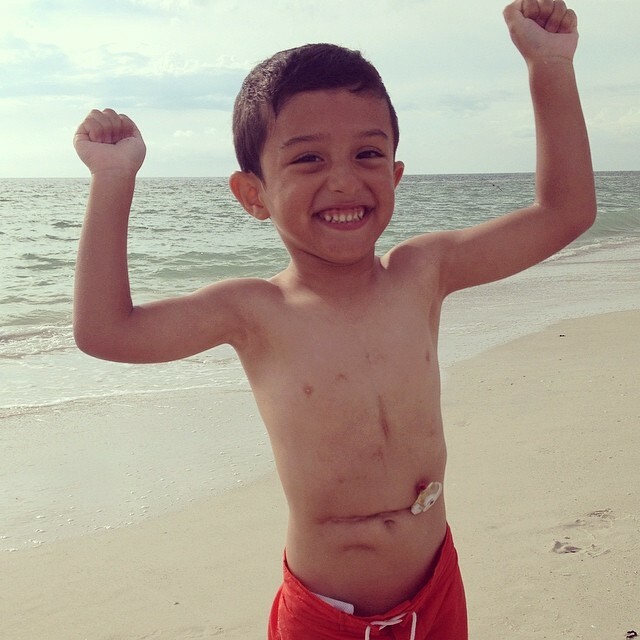 He endured countless surgeries and medical procedures in his short little life and is now thriving. Surely, he has not escaped prematurity unscathed. Every day is a battle, a battle we chooses to fight as a family with a positive attitude. Caleb faces the chronic issues of having short bowel syndrome and poor stomach emptying, and for those reasons is on a continuous feeding pump 22 hours a day. Not to worry, he carries his pump in a super cute backpack and he’s learned to run quite fast with it! His heart and lungs remain stable, the parts that have been affected by the disease will not improve, but he has also not progressed and this is a wonderful gift. Many moons ago, we were given a very poor prognosis on our son’s life and with reason. He faced major odds and two diseases that could quickly end his life. Somehow, he overcame the obstacles one by one and he will continue to put up a fight as long as we can. Caleb is a very jouyous, talkative, bright boy who enjoys school at home, especially drawing freehand. As his mom, I have been forever changed. Coming out on the other side of this has not been easy. In fact, there are days I don’t know if I have. I’m putting a lot of my energy and emotions about our journey with prematurity into a blog called Hey Little Fighter. We share our personal experiences, raw and honest perspective on parenting children with special needs and maintaining a positive attitude. It was always my hope that something good come out of experience, and what better than helping other families. 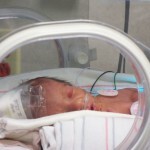 Please visit us at www.heylittlefighter.com and enjoy some pictures of Caleb today. Great job Caleb! Stories like yours show pure strength. Hope you have a healthy and excellent journey in to life. P.S. Girls find scars attractive too!